We have scoured the country looking for quality food stops, places that welcome bikers (and not just tolerate them) and this is our list of biker friendly cafes that we have found. If you know a place that isn’t listed, then please get in touch and we will try to visit and then if they pass Bonzo’s test we will happily add them to our list. A well known and well loved bikers cafe just off the A1(m) near leeds. Shobdon airfield was opened in 1940 as a response to the needs of the war office to fight off the invasion plans. The airfield was originally called Pembridge Landing Ground and one of the first aircraft to be based there was the trusty Westland Lysander and it is this iconic Army support aircraft that the cafe’s list topping breakfast option is named after. Steel Horse Cafe is located just outside of Abergavenny at the junction of the B4598 on the road to Usk. The place has a great, friendly atmosphere, serve great food including some amazing muffins and coffee and has loads of easy parking. If you’re ever travelling along the M4 in Wales and fancy a cuppa, a sandwich or even (our favorite) a Full English breakfast, consider coming off at junction 37 and heading the 1 mile north into Pyle and you will find one of the hidden gems in the area, Village Farm Cafe. The Touchdown Cafe is based at Wellesbourne Mountford Airfield and it is an extremely popular cafe with pilots using the airfield as well as bikers. Fromes Hill is located on the A4103 between Hereford and Worcester and is part of Fromes Hill services, the place is very easy to find due to the very large Tank outside! Queenswood Cafe is a lovely timber framed building in Queenswood Country Park on the A49 between Hereford and Leominster at the top of Dinmore Hill. The Ace Cafe, just off the North circular in London is one of the worlds most famous cafes, it was opened in 1938 and soon became very popular with bikers as it still is these days. The Ponderosa cafe is located at the top of the infamous Horseshoe Pass near Llangollen, Wales and is probably one of the best known biker friendly cafes in the UK. The Cafe Express is part of Crossgates service station complex at the junction of the A44 and A483 Nr Crossgates and as with most of the places listed here it’s very popular with bikers of a weekend, the food is the typical freezer to fryer kind of stuff and would never win any awards but it’s clean, edible and the staff are always friendly, what more could you want? West End Cafe 15_17 Broad Street Llandovery SA20 0AR Website: www.westendcafe.co.uk Review to follow soon, maybe, one day, in a few weeks, honest!, err I blame Bonzo. Bringsty Cafe used to known as Route 44 due to it being located next to the excellent A44 between Worcester and Bromyard, The cafe is ran by Tina and Sally who not only are very friendly and welcome bikers but also serve fantastic food and cake. July 2016 – We no longer recommend the Salt Box cafe, over the last 12 months we have had very poor service, quality of food and noticed hygiene issues. Jo’s Place (used to be known as The Highway Star cafe) is located next to the A40 near the junction with the A4137 and is about 9 miles west from Ross-On-Wye or 5 mile east of Monmouth. Grindleford Station Cafe is located near the railway station in the picturesque Peak District village of Grindleford. The Long Itch Diner is located just outside the village of Long Itchington, it’s an extremely popular place not only with bikers (They hold biker nights every Thursdays) but also with custom car people who regularly hold events at the diner. 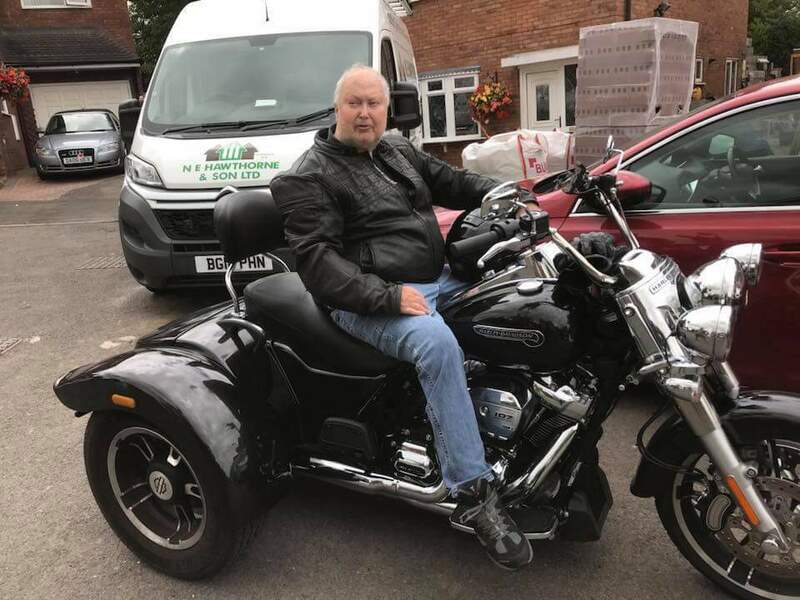 Quatford Food Stop is also known as Alan’s Cafe or Quatford Cafe has long been a favourite biker’s cafe is a very biker friendly cafe just outside Bridgnorth in Shropshire. The Midway Truck Stop is located on the A41, just outside Whitchurch, Like the Salt Box Cafe, the Midway is a very popular with lorry drivers (they even have their own seating section) and is the home of the world famous “Desperate Dan” breakfast. If you think you have a large appetite, the try one of these! Dinkys (Diner) Dinah is located within a large lay-by on the A458 just outside the village of Ford near Shrewsbury heading towards Welshpool, It’s a very common stopping off place with people travelling to the welsh cost as there are toilets and parking facilities.